Mechanical vapor recompression (MVR) and thermal vapor recompression (TVR) are the two prevailing evaporation methods in the dairy industry. It is undisputed that both have their benefits, but dairies should make a thorough evaluation which of the two evaporation types suits best to their business operation. When evaporation is executed by thermal vapor recompression, a blower, compressor or jet ejector recompresses live steam respectively motive steam. By this means the pressure of the live steam coming from a boiling chamber is increased. The increase in pressure subsequently leads to a higher temperature of the vapor. The compressors used in TVR plants, work according to the steam jet pump principle which means a simple and effective design with high operational reliability. Parts of the steam, the so-called motive steam, is required for operating the compressor. 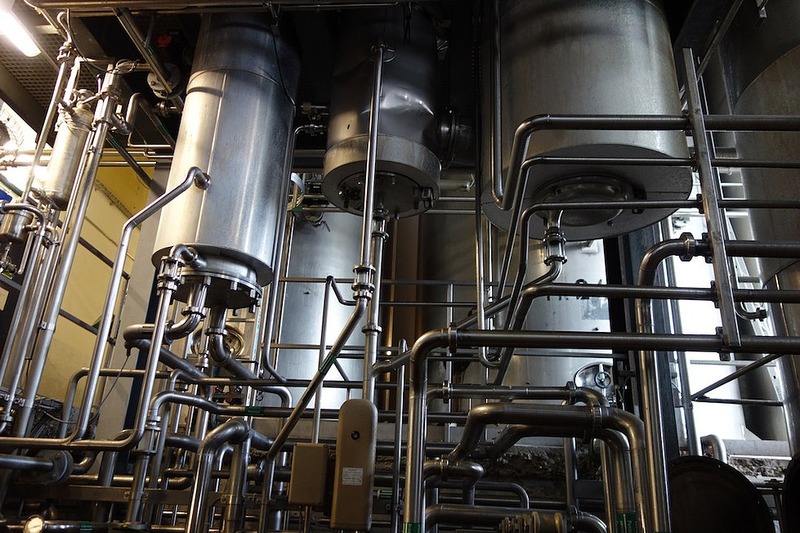 This exact steam is recycled by being transferred as excess vapor to the next effect of the evaporator plant. MVR Evaporators are comparatively low on energy consumption. There are two reasons for this: is that the compressors of such plants are electricity driven and the vapor leaving the evaporator can be fully recycled. The fact that Evaporators with MVR use electricity to drive the impeller to compress the vapors leads to higher pressure and hence to higher temperatures as well. The allure in MVR lies in the fact that the energy of the vapor is efficiently used to maintain the evaporators heat balance. This decreases the need for additional steam for heating and ensures stable processing conditions. As a conclusion, we can tell that the decision whether to utilize an evaporator with MVR or a plant with TVR depends on several factors like the consideration of steam production cost or the size of the company and its production volume. Below are some factors to consider prior to deciding which kind of evaporator would be suitable for your company. Generally, MVR evaporators should be used in certain mid-size and all large companies where energy efficiency is a priority, while thermo-compression units tend to limit their use to small units, where energy consumption is less of an issue. If you are interested in an interesting case study concerning an evaluation of the pros and cons of MVR to TVR .evaporators, I strongly recommend this article.